VALENCIA, Venezuela (AP) — Authorities released little information on a deadly riot and fire at a Venezuelan police station Wednesday, as relatives said dozens of detainees were kept in squalid conditions and expressed fear that their loved ones were dead. Officials confirmed Wednesday night that there were fatalities but said they were still determining the exact number. They said they would not provide any estimates "out of respect for the families." 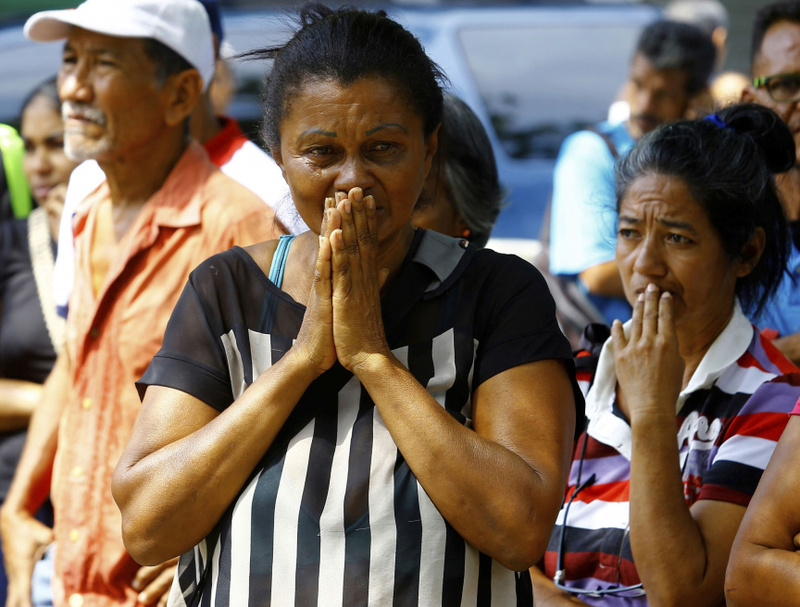 "In the right moment we will provide information on the total number of victims that today puts the state of Carabobo in mourning," said Jesus Santander, secretary general of the local government. The scant information came hours after a large crowd of angry relatives demanding to know if their loved ones had survived clashed with officers in riot gear. Police launched tear gas to disperse the crowd of screaming men and women in Valencia, about 100 miles (160 kilometers) west of Caracas.